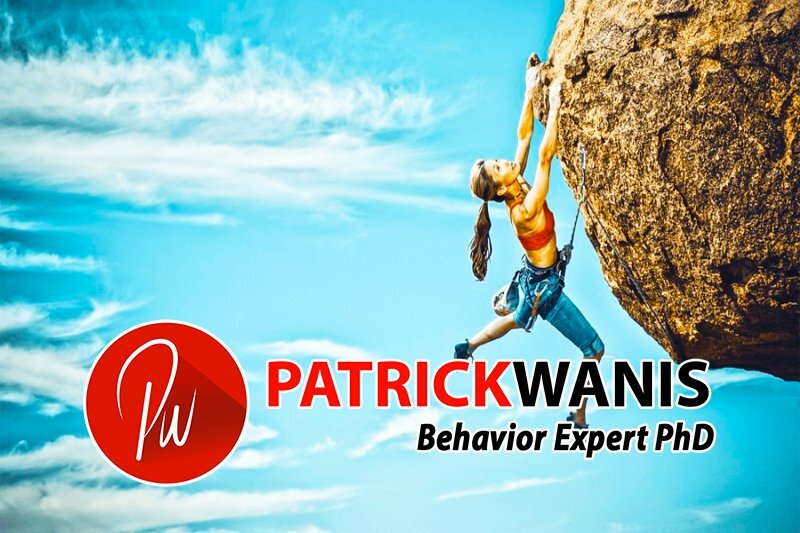 Jan 10, 2019 /in Success Newsletters /by Patrick Wanis Ph.D. In this week’s Success Newsletter, I would like to share some insights into trust (it is given not earned) and reveal the 7 ways to gain or rebuild trust. Now, let’s talk about insights into trust (it is given not earned) and reveal the 7 ways to gain or rebuild trust. It is a popular expression: “Trust is not given; it is earned.” However, that is not true. In every situation, you choose and you decide whether or not to trust someone; you constantly trust people, products, companies, services whom have not ‘earned’ your trust because you do not even know them or have used their services or products before. The point is that you do, in fact, trust people until such time as they betray you or do something that therefore motivates you to decide to no longer trust them. And if you have experienced intense betrayal and particularly at a young age (childhood), then there is a good chance that you have built walls to keep people out and thus, preventing you from trusting people. Further, if you have experienced betrayal in an adult relationship, you may have chosen to never trust anyone i.e. you are not giving anyone the chance to ‘earn’ your trust because you simply refuse to give your trust to anyone. It is a personal choice to whom you will give your trust and how much you will trust that person. Trust is a key pillar of character, and there are certain qualities that people can display that encourage or determine whether or not you will feel ‘safe’ to give your trust to them. Trust involves 7 key qualities & behaviors: authenticity, honesty, vulnerability, integrity, credibility, reliability & dependability, loyalty. As I outline a simple definition for each of these qualities below, remember again, it is your choice, your personal choice whether or not you will demonstrate these qualities. Being authentic infers being true to yourself and being willing to express yourself truthfully. Be careful of agreeing to do things that you don’t want to do or don’t align with your values. Being honest infers you will tell the truth, the whole truth and nothing but the truth, and, you do not lie, cheat, steal or deceive. Beware of being silent when you know you should speak up and tell the truth in the best interests of your friend, family or colleague. Being vulnerable infers that you are willing to admit your mistakes, your weaknesses and your limitations, and being willing to admit that you don’t know everything. Beware of trying to convince people that you are perfect and infallible. Demonstrating integrity infers that you will do the right thing over expediency or self-interest; you will do the right thing even when others are doing the wrong thing. Beware of remaining silent and failing to tell people that your choices and actions are based on what you believe to be right and wrong. Being credible infers that your behavior demonstrates consistency in doing the right thing and keeping your word and promises. When there is a lapse in your consistency, make amends by being accountable and responsible for the mistakes or errors – this response rebuilds credibility. Being reliable and dependable adds to and enhances your credibility. Being reliable & dependable infers that you will honor your word and commitments – you will do what you say you will do; people can depend on you to follow-through with whatever you promised or committed. Beware again of choosing comfort or instant gratification and thus failing to keep your word or commitment. Being loyal infers giving constant support or something (even a belief or ideology.) Being loyal involves behaviors whereby you protect your friends/colleagues, you don’t betray them for self-interest or expediency; you don’t gossip or lie about them, and, you speak your truth to them to give them ‘tough’ news, advice or counsel when it is in their best interests. Beware of using a friend/colleague or doing something against them simply get someone else’s approval or acceptance.